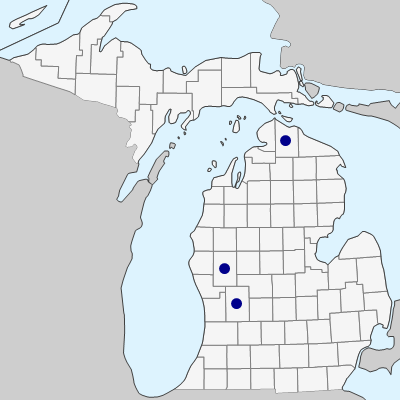 A European species well established in sandy disturbed ground at the University of Michigan Biological Station (Cheboygan Co.) since 1929; only occasionally collected elsewhere. The flowers are ca. 2–4 mm long, even smaller than in V. tetrasperma. MICHIGAN FLORA ONLINE. A. A. Reznicek, E. G. Voss, & B. S. Walters. February 2011. University of Michigan. Web. April 18, 2019. https://michiganflora.net/species.aspx?id=1363.